Here is an opportunity to submit Norwegian Caribbean Cruise reviews, if you have had the experience. You are called on to use your "cruise-critic" skills and describe what happened on your family's cruise ship vacation. Actually, you do not have to be a cruise critic, but you must be someone who has sailed with Norwegian Cruise Lines to a Caribbean destination. Norwegian Cruise Line offers memorable cruise sailings to the Bahamas, plus eastern and western Caribbean destinations. If you have sailed with Norwegian, I am sure that you have something to share. My family sailed via the Norwegian Dawn to the Eastern Caribbean. Our cruise ship sailed from the Miami Cruise Port to four ports of call: Samana, Dominican Republic; St. Thomas, US Virgin Islands; Roadtown, Tortola, BVI; and, Nassau, Bahamas (4th stop should have been Norwegian's private island, Great Stirrup Cay, but bad weather forced a change). After returning from that trip, I remember saying that it was my best family cruise vacation to date (it was in fact our third Caribbean cruise). I thought the ship was huge and beautifully designed, the service was spectacular and the activities and entertainment varied and fun. We were introduced to freestyle cruising - no set time for dinner, no set table, no set attire - and it was fine. I was impressed with the number of specialty restaurants - although we chose not to spend extra money to eat at any of them. There was enough food - fine foods - already provided with our inclusive cruise package. Undoubtedly, Norwegian inclusive Caribbean cruises come alive with fun-filled activities for all. There is a youth program that works well to entertain and involve the children, while parents may wonder off for hours to do their own thing. If you have had a similar experience, we invite you to submit your Norwegian Caribbean Cruise reviews. What was the most impressive thing about your cruise? Which Norwegian cruise ship were you on? 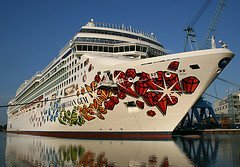 There are currently several Norwegian cruise ships sailing to the Caribbean - Norwegian Dawn, Norwegian Epic, Norwegian Gem, Norwegian Jewel and others. Which was yours and how was it? As you submit Norwegian Caribbean Cruise reviews, I encourage you identify the best things about your cruise experience, as well as the things that could use some improvement. For example, I did not find the Samana Port of Call impressive. There was a waterfall that we went to look at (beautiful), but the place itself was somewhat run-down - dilapidated. I can understand if the reason for visiting Samana is to help pump needed funds into the local economy. I was, however, impressed with the way the natives got around - on motorbikes. Everyone seemed to ride and some bikes had 3 or 4 passengers. Other bikes were converted into taxis to transport tourists. 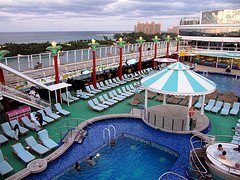 Why Submit Norwegian Caribbean Cruise Reviews? When you submit Norwegian Caribbean cruise reviews, you will definitely help some people. How Do You Write A Norwegian Caribbean Cruise Review? 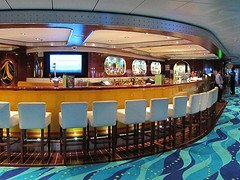 You may also talk about your Norwegian Cruise dining - the main dining rooms, specialty dining, the wait staff, etc. How about the overall service? Norwegian Cruise Lines is among those Caribbean cruise lines that add a mandatory cruise gratuity to your onboard account. Do you believe the service was worth the cruise gratuity your family was charged? How about the ports of call? Ensure that your Norwegian cruise reviews capture some information about the places you visit. 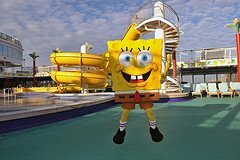 Norwegian Cruise Line is known for visiting beautiful Caribbean destinations, especially Norwegian's private Bahamian island - Great Stirrup Cay. Say if you found your ports of call exotic or not. In addition, you may write about any other aspects your Norwegian Cruise vacation: activities on board, cabin steward, entertainment, etc. So, are you ready to submit Norwegian Caribbean Cruise reviews? Great! Please use the form below to share your inclusive Norwegian Cruise vacation with the world. Have You Sailed With Norwgian Cruise Line?